Vestas, a Danish wind turbine manufacturer has recently announced that it has secured a 184-megawatt turbine order from a utility holding company Xcel Energy, for the Minnesota-based Blazing Star Wind Project. Reportedly, the contract constitutes Vestas’s V120-2.2 megawatt wind turbines delivered in the 2.0 operating mode. According to sources, the 200 MW capacity Blazing Star Wind Project is part of Xcel Energy’s proposed plan to expand 3,680 MW of new wind generation to its systems spanning 12 projects in 7 states across its territory. The expansion move is reportedly expected to boost Xcel Energy’s wind capacity to over 10,000 MW by the year end of 2021. For the record, Vestas’s V120-2.2 megawatt wind turbine is the latest extension to the company’s 2 MW platforms, and is developed on over 40 GW of 2-MW turbines installed worldwide. Investing in the low-cost wind energy sector, Xcel Energy is expected to provide affordable and clean energy to its customers. The project expansion is also set to create jobs, while adding value to the local economy, revealed Chris Clark, president of Xcel Energy. He further stated that these energy projects are expected to keep the power costs low, while help the company’s vision in achieving 85% carbon emission free energy by 2030 in the Upper Midwest. 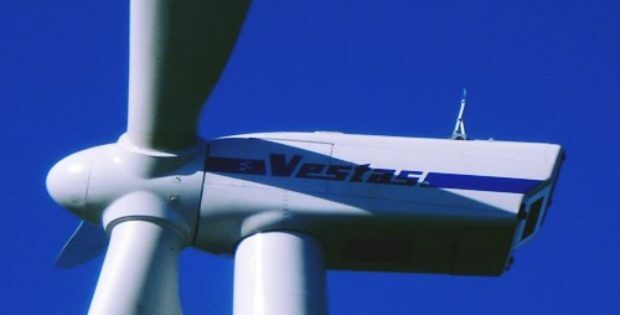 Chris Brown, President of Vestas’ sales & service division in the USA and Canada, revealed in a statement that the company is pleased to expand its pipeline with Xcel Energy as part of its ambitious wind expansion project. He further added that its V120-2.2 MW is a significantly important part of the company’s North American fleet of flexible and customizable products that unlocks great potential in previously untapped wind resources. It has been reported that the turbine delivery is scheduled to commence from the Q3 of 2019.